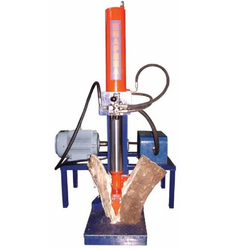 We are the prominent manufacturer and supplier of Log Splitters countrywide. Our range of machines is manufactured using premium quality raw material and latest techniques in conformance with the global standards. These splitters are highly admired by our clients for their high productivity and time saving features. Available in lots of specifications these machines can be claimed our clients at industry leading prices. These Vertical Log Splitters will split any log comes into their way mercilessly either in a vertical or horizontal position. Powered by a Honda GX270 engine with an exclusive idle down feature that saves fuel and reduces noise while you load the next log. The Barnes hydraulic pump intelligently adjusts flow and pressure by delivering high flow/low pressure when there is no resistance and low flow/high pressure when cutting through a log to reduce travel time and increase productivity. 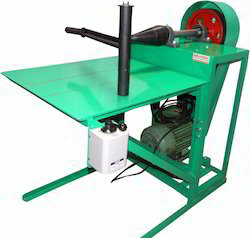 We are manufacturer and exporter of screw log splitters for our customers. Packaging Details: Export Worthy Wooden Box Packing. 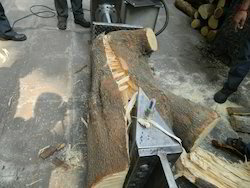 6 Ton Horizontal Log Splitter. Looking for Log Splitters ?